WhatsApp beta for iOS 2.19.40.23: what’s new? WhatsApp has recently submitted a new update through the TestFlight Beta Program, bringing the version up to 2.19.40.23. All features listed in this article will be available in the next update on the App Store, the 2.19.40 official update. If you want to join the WhatsApp Messenger beta program on TestFlight (but the beta program is full), you can consider to join my Discord Server, in order to receive push notifications when slots are available, or check out my TestFlight page every day. It seems WhatsApp is implementing the same features in Android and iOS at the same time. 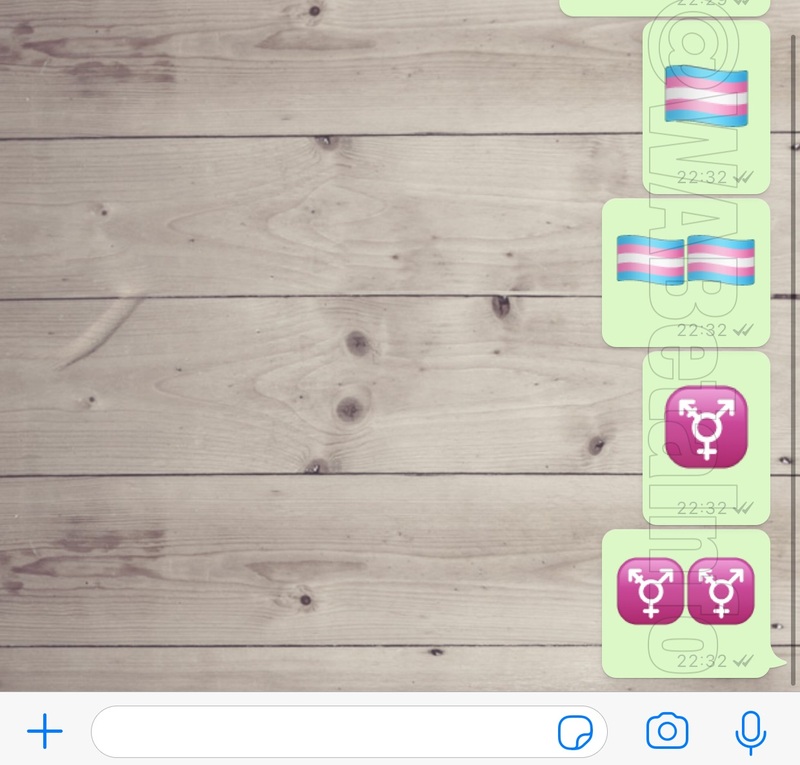 WhatsApp added in the 2.19.73 Android beta update two transgender emojis, that aren’t natively available in the Emoji Unicode. Today, WhatsApp has implemented the same emojis in this iOS update. FLAG EMOJI: Copy –> ️⚧ <-- and paste this code in WhatsApp. SYMBOL EMOJI: Copy –> ⚧ <-- and paste this code in WhatsApp. You can also ask to Android users having WhatsApp for Android 2.19.73 and newer to send those emojis. Previous PostPrevious WhatsApp beta for Android 2.19.86: what’s new? Next PostNext WhatsApp beta for Android 2.19.87: what’s new?